PMI survey data showing faster service sector growth in August come as much-needed welcome news after disappointing manufacturing and construction surveys. 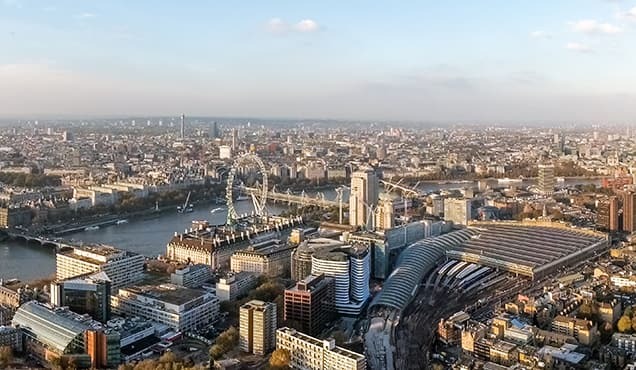 The resulting robust and resilient rate of economic growth signalled for the third quarter so far will no doubt draw some sighs of relief at the Bank of England after the rate hike earlier in the month. However, the survey data highlight the extent to which the economy has become more reliant on services to support growth, and in particular an especially strong financial service sector. 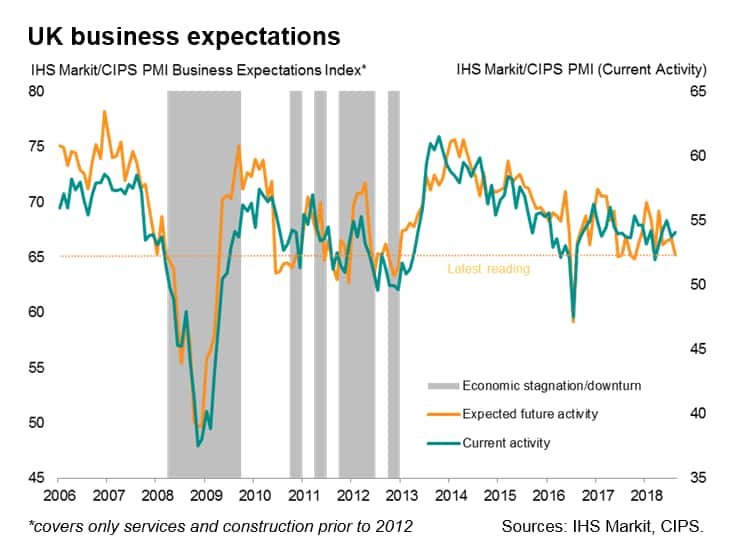 Business expectations for the year ahead also sank markedly lower, largely reflecting increased anxiety over Brexit negotiations. Given the increasingly unbalanced nature of growth and the darkening business mood, risks to the immediate outlook seem tilted to the downside. 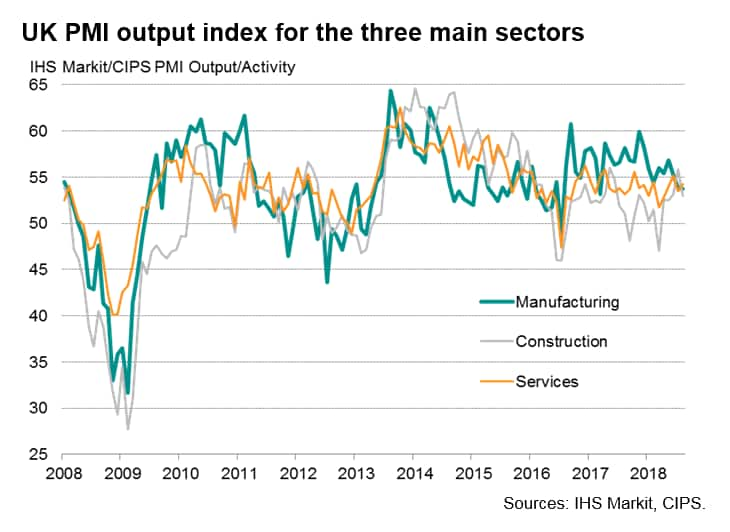 The IHS Markit/CIPS 'all-sector' PMI Output Index rose to 54.1 from 53.7 in July as stronger service sector growth helped offset slower rates of expansion in manufacturing and construction in August, pointing to a slight acceleration in the overall pace of economic growth. Service sector business activity showed the second-largest monthly expansion since February. The improvement lifts the average all-sector PMI reading for the third quarter so far to 53.9, down slightly from the second quarter average of 54.1 but still indicative of robust economic growth of just under 0.4%. 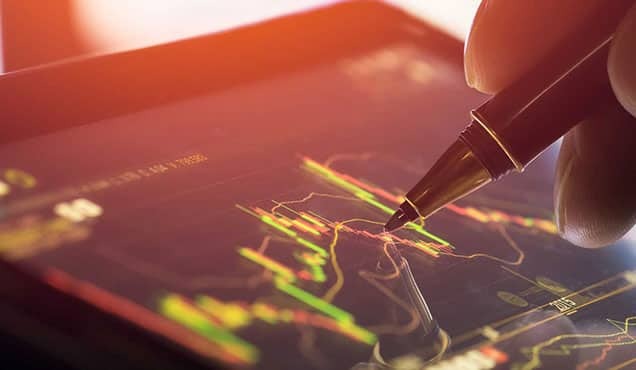 Drilling down within the service sector, the strongest upturn continued to be recorded for financial services, which have seen the best trend growth throughout the year to date, followed by computing & IT and transport services. 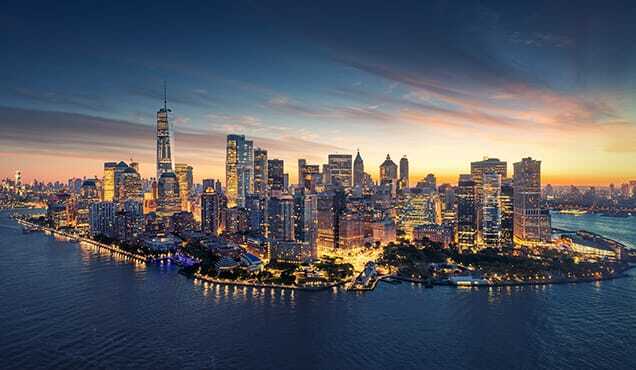 Consumer-facing sectors such as hotels, restaurants and sporting & leisure activity remained weak spots, though business-to-business services growth was also once again also relatively subdued. The upturn in the service sector contrasted with signs of a further slowdown in manufacturing. The factory sector reported the weakest rise in output since March 2017. 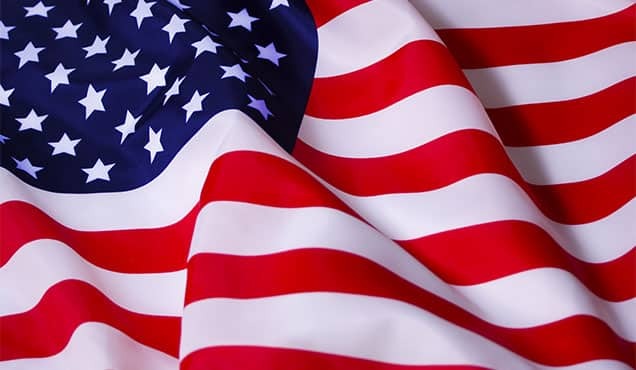 The latest slowdown was driven to a large extent by the first drop in export orders since 2016, blamed on a combination of weaker global demand and Brexit-related concerns among foreign customers. The steepest export decline was seen for producers of inputs to other overseas manufacturers. Building sector activity meanwhile slowed after July's weather-related jump, though remained above the average seen in the first half of the year. 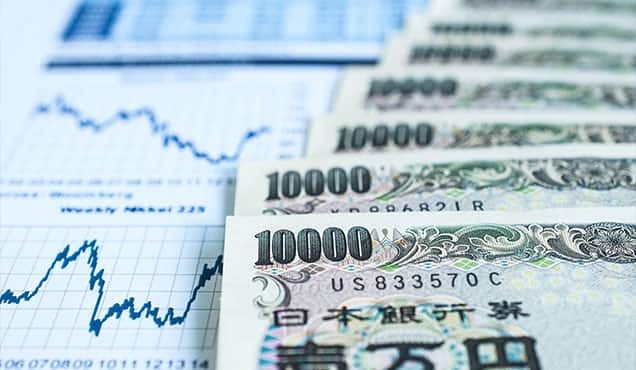 New order inflows also regained some momentum, registering the second-largest increase since February, though sector trends again remained marked. A stronger rise in service sector new business contrasted with the smallest inflow of manufacturing new orders for 25 months (stymied by falling exports) and a slowing in new construction orders, albeit with the latter remaining relatively buoyant by standards of the last year. Employment across the three sectors combined meanwhile rose at the fastest rate since February, driven by increased recruitment activity in the service sector. Construction nonetheless recorded the fastest rate of job creation of the three sectors for the third straight month. On the other hand, manufacturing headcounts barely rose, mainly reflecting the sector's slower order book growth. 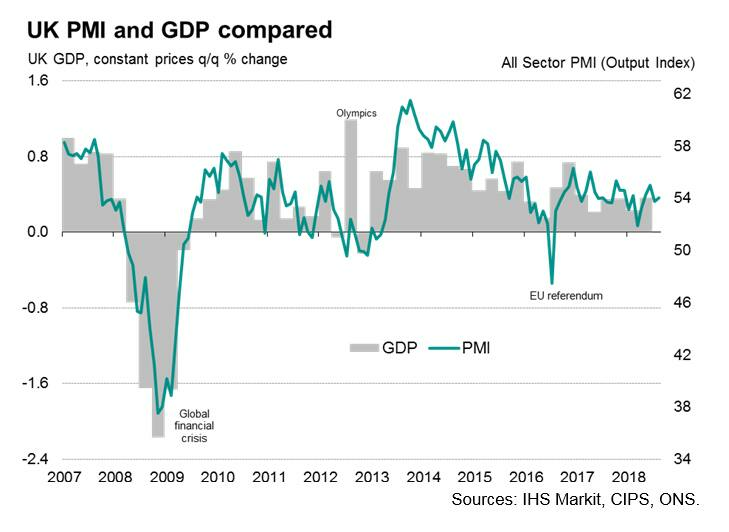 The improved rate of growth of new orders did little to allay worries about the outlook, with optimism about future business activity dropping markedly in August to one of the lowest levels seen since the 2016 EU referendum. Sentiment about the year ahead slipped lower across the board, though remained highest in manufacturing, in part linked to hopes that the weaker currency could revive exports. The August surveys brought mixed news on inflation. The all-sector input cost index rose slightly in August from an already-elevated level, indicating the second-highest rate of increase so far this year. 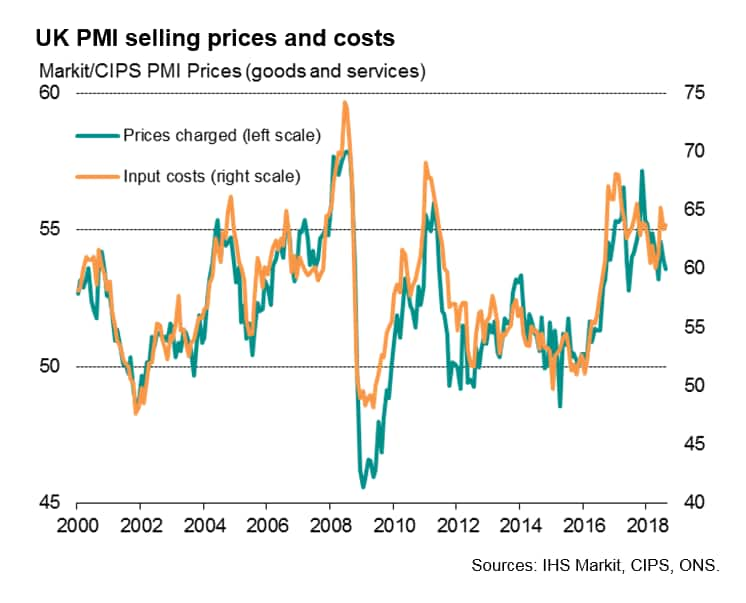 Although manufacturing and construction cost inflation rates have eased since earlier in the year, service sector costs have trended upwards, often reflecting higher wage costs. In contrast, average prices charged for goods and services rose at the slowest rate for three months in August, suggesting firms generally struggled to pass higher costs on to customers, even in the faster-growing service sector. The resilient overall pace of growth signalled by the surveys, as well as signs of higher wage costs amid a tightening labour market, will help vindicate the Bank of England's decision to hike interest rates at its 2nd August meeting. 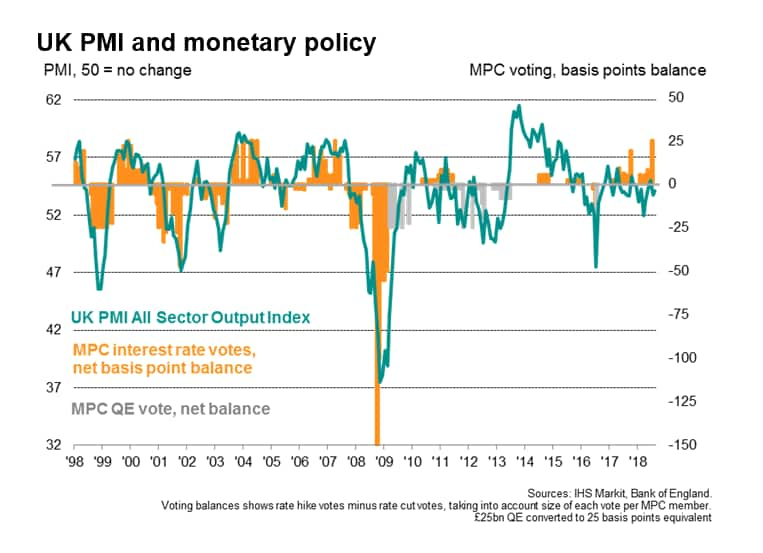 The decision to hike, and in particular the unanimity of the decision, nevertheless looks unusual given the relatively weak rate of economic growth signalled by the PMI compared to rate hikes before the global financial crisis (see chart) and clouds our view of the monetary policy decision-making process. The rise in the August services PMI could therefore strengthen arguments for rates to be hiked further at some point in the near future. 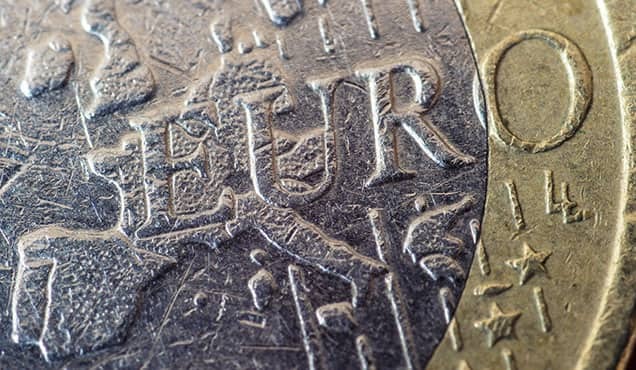 However, it seems likely that the Monetary Policy Committee will await further news on the health of the economy amid the intensifying Brexit process in coming months before tightening policy again. The implication is therefore that rates could rise sooner than March of next year if clarity on the Brexit arrangements comes earlier, however this seems an unlikely scenario.